A recent arbitration ruling over a request to inspect the official records of a condominium association by a unit owner as prescribed under Florida law should serve as a reminder to all Florida community associations that they cannot impose rules and prerequisites that are outside of the scope of the statute to deny such requests. The ruling by an arbitrator with the Florida Department of Business and Professional Regulation Division of Condominiums in the case of August E. Hawkins v. Points West Condominium Association involved a denial by the association of the unit owner’s request to access the current list and contact information for all of the unit owners. The association based its denial on a rule that was adopted by its board of directors stating that all association fees and debts must be current in order for unit owners to be granted access to its official documents and records. The association claimed that Hawkins owed $600 in attorney fees to the association for its prior issuance of a demand letter. 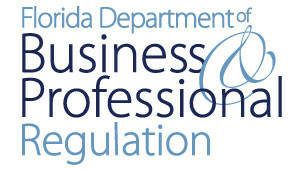 The arbitrator ruled that Florida law stipulates associations “may adopt reasonable rules regarding the frequency, time, location, notice and manner of record inspections and copying” of official records, but it may not create any other category of rules or prerequisites that owners must meet in order to gain access to the official records. The ruling concludes that there is no language in the Condominium Act which authorizes an association to institute debt collection procedures which interfere with an owner’s entitlement to access to official records. It finds the rule to be null and void and unenforceable, and the association’s failure to allow access to the records to be in violation of the law. The arbitrator concluded that the association must grant access to the records within 10 days of the ruling and pay $500 as statutory damages to the unit owner for its willful violation of the official records statute. In addition, Florida law provides that the prevailing party in these proceedings is entitled to have the other party pay reasonable attorney’s fees and costs. Associations that seek to impose any sort of rule, regulation or prerequisite involving records requests by unit owners should bear this ruling in mind and seek the guidance of qualified legal counsel.